On this episode I interview Anne Wager, who used to work for many years in data and technology but made the transition to counseling and, as she puts it, “out of desperation”, developed a set of cards that she uses with students to help them identify, not just their preferences for what they’re looking for in a college, but what she called “deeper preferences”. 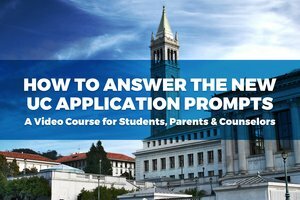 We’ll explore what she means by deeper preferences, explain why they’re important, talk about common mistakes that students make when picking colleges, and how parents can best support their students. All this and more. Enjoy!